Los Angeles, Calif. (February 2, 2017) – BOOM! Studios and The Jim Henson Company are proud to announce JIM HENSON’S THE DARK CRYSTAL TALES, a new children’s book set for release this summer by acclaimed writer and artist Cory Godbey (Have Courage, Be Kind: The Tale of Cinderella). The publication is a follow-up to last fall’s best-selling JIM HENSON’S LABYRINTH TALES, also written and illustrated by Godbey. Jim Henson’s The Dark Crystal Tales delves deep into the Skeksis-ruled land of Thra in this beautiful look at some of Jim Henson and Brian Froud’s finest creations from the beloved cult-classic film The Dark Crystal. In one tale, when a little bird is hurt in a Skeksis net, Jen takes it to the Mystics for healing and learns how every act of kindness grows like ripples in a lake. 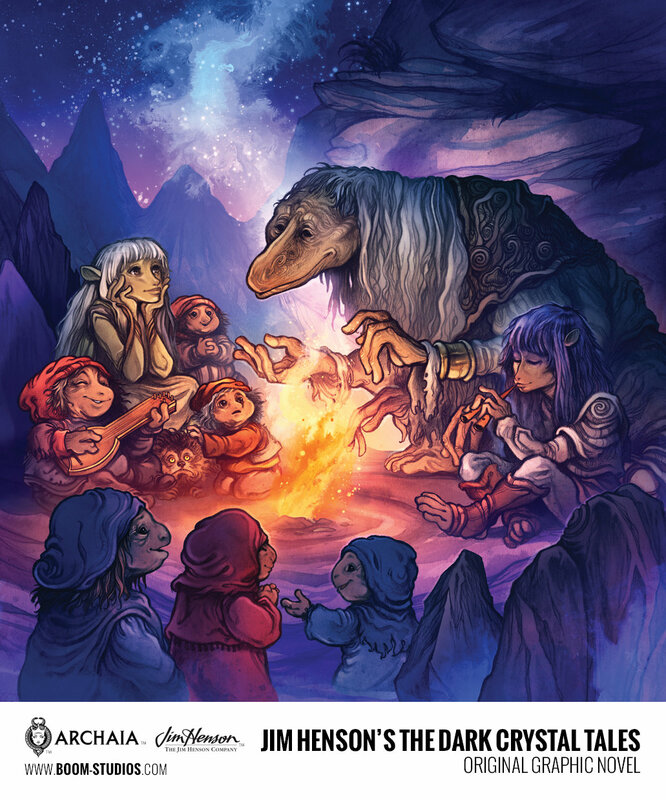 Jim Henson’s The Dark Crystal Tales is the latest release from BOOM! Studios’ Archaia imprint, home to an acclaimed line of ambitious and award-winning graphic novels, including Mouse Guard by David Petersen; Rust by Royden Lepp; Jim Henson’s Tale of Sand by Jim Henson, Jerry Juhl, and Ramón K. Pérez; The Realist by Asaf Hanuka; and Hacktivist by Alyssa Milano, Jackson Lanzing, Collin Kelly, and Marcus To.